Very often people rent car through an online car rental app and it is crucial for this process to quick, cost effective and painless. So that we can get the best car rental app in the world we conducted a survey which is based on the search functions, pricing as well as the customer service of various car rental apps so as to determine the top 5 apps. A survey was conducted questioning more than 500 users about the features which are very essential to them whenever they are renting a car. The overwhelming result of price as well as preference varies from one place to another and the most popular result filter was used to filter the best result on the lists. The basic functionality is one of the factors which are usually considered by most people when choosing the best car rental app which would be used. The apps which are designed in an interactive manner would be easy to use and would enhance the experience of the user. Also, some apps likewise have added features which are incorporated into the application to give the user a befitting experience. Alamo: Whenever you are using this rental app, you will have to provide a pickup as well as drop locations with departure as well as arrival dates and timings. You will later find a list of available cars as well as their pricing from which you can choose from. This will help in choosing the best option according to the amount which you want to spend and you can likewise add accessories as well as insurance whenever you are travelling. Another benefit of this is that the app can be used to provide flight timing so that the vehicle can be delayed whenever your flight is delayed. Avis: This consist of a wide range of rental cars from compact cars to pickup trucks. The car which is available varies from one location to another and all the essential features about the car such as gas mileage, seat, colour as well as other essential factors are provided. Budget: This app is available in hundreds of locations including major cities as well as airports. Budgets service are also available in several international locations across the world. Dollar: Whenever you use this app, you would be allowed to go on a drive directly once you arrive at the location. This service program will allow you to choose the exact vehicle which you want at the point of arrival so that you would have the most befitting experience. OneClickDrive: While oneclickdrive.com is only a website predominantly based in the UAE, it works as good as any other car rental app. You can find all types of cars including luxury cars such as Rolls Royce, Range Rover; sports car like Ferrari, Lamborghini; even economy cars on monthly basis across the emirates: Dubai, Abu Dhabi, Sharjah, Ajman and so on. You can rent the cars directly from the suppliers through OneClickDrive and save on booking fees by other apps. If you’re looking for car rental dubai, this is definitely the best place to search for good offers. They even launched a chauffeur booking service for car with driver service in Dubai, Abu Dhabi and other emirates. 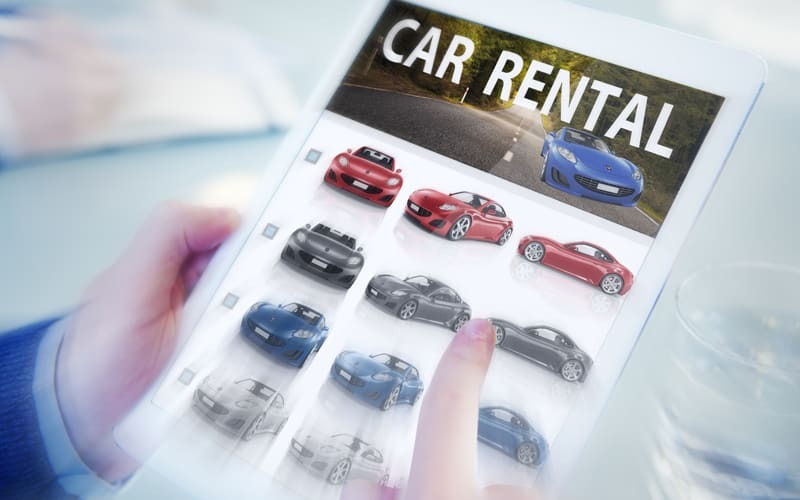 Enterprise: This car rental app is most suitable for underage drivers, this is because the amount charged is relatively low to other car rental companies that provide the same kind of service. If you fall within the age range of 21 and 24, you can make use of enterprise app to hire a car so as to benefit from the discount offered by them. National: Your national vehicle can be booked by entering the details of pickup as well as drop off locations and the schedule travel time. This app is available on both Android and iOS platforms and is considered as one of the most rated car rental app.